Looking for additional Information? Please complete the form below and we will contact you to discuss your child, elder family member and/or pets safety needs. 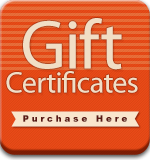 If you would like a Gift Certificate, please let us know your comments and we will be happy to help you out. Copyright © 2012 Home Safe Home Childproofing, Inc.